Give a mind-break to your students by letting them relax and practice their conjugation with a color by Verb. This product edition also introduce a French cultural piece as well. My students love this coloring activity, they find it fun! 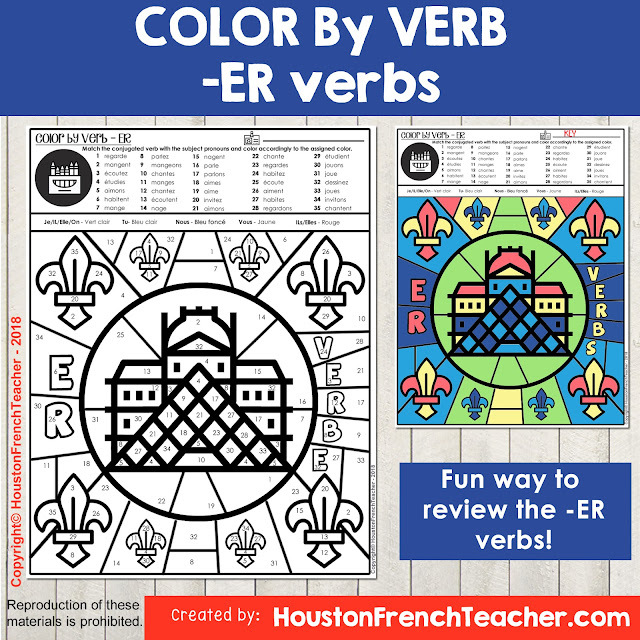 Color by verb CONJUGATION French ER Verbs. Students match the conjugated verb with the subject pronouns and color accordingly to the assigned color.